MONA Vale fire station was closed on Tuesday and local residents were left in no doubt about its status thanks to a stark sign. Fire and Rescue NSW says the policy of closing stations that are temporarily understaffed is meant to cut the use of firefighters being called in to plug gaps, which increases the organisation’s overtime budget. The peninsula’s first station to close for several hours was Dee Why. It closed on November 6 and most other stations on the peninsula have since been closed on one or more occasions. The Fire Brigade Employees’ Union has previously said the State Government is playing russian roulette with public safety by temporarily closing fire stations. Fire and Rescue NSW Commissioner Greg Mullins has said the measures were to cut excessive overtime costs. 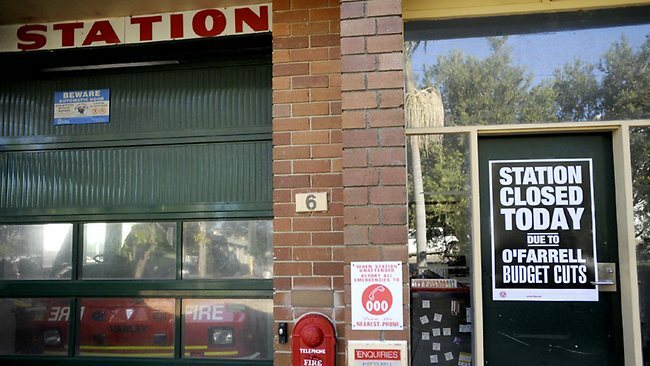 via Mona Vale fire station closed as spot closure ease overtime costs | thetelegraph.com.au.